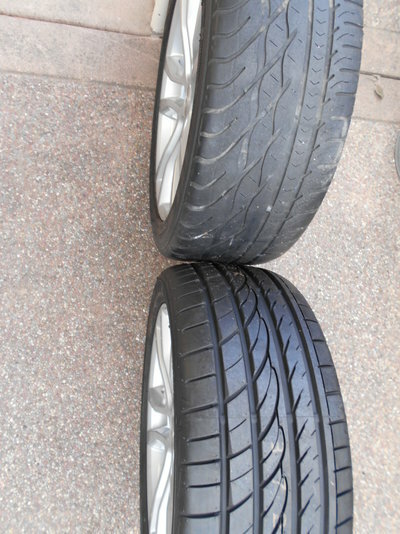 I found a pair of 255-40-18s on CL. I have to pick them up on Saturday and get them mounted to see if they will fit in all four corners. 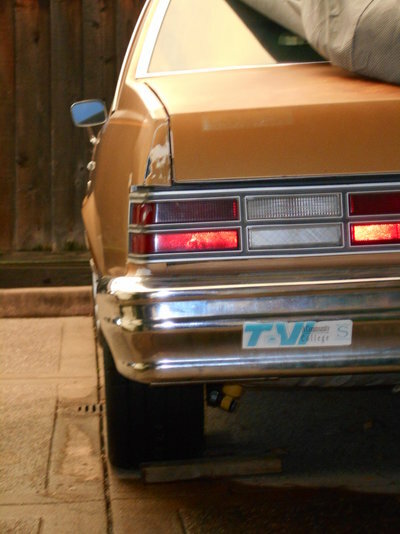 The T56 was an aftermarket version ordered from Sallee Chevrolet. My cousin worked at Sallee in the early 2000s. He built and tested their "kit" crate motors. Not sure if he was in on the development of that adapter but...maybe. The adapter plate was not very technical, just a machined piece of 1/2" plate steel with two bolt patterns to manage tilt and non-tilt configurations for both the F-body and everything else. It was enabled, however, by a longer input shaft. I'd like to hear the back story on that, whether it was just a LS1 shaft and some clever guy decided an adapter plate would fit in there. An LS shaft would be .400" longer. Mounted up the tires. I was surprised how much room is left between the tire, rear fender arch and frame rail. I am using 2" thick 5x4.75 to 5x120 adapters, which have the correct 14 mm studs for the Camaro wheels. 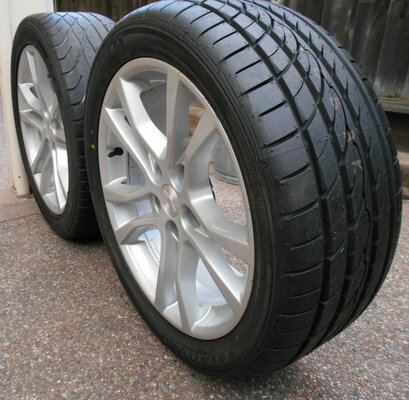 It looks like a 275 would fit with no mods if a wider rim split the increased width in the backspacing. Hard to say on the fronts as I don't have the fender liners in there. I bet they'd rub at the front where the plastic filler flap hangs down. But overall, I'm happy with the results. It makes the flat profile Camaro rims look less goofy having a bit more tire past the wheel lip. You can ignore the cracked fender extensions and taillight. I have spares in the shed o'many things...just need to get started on the paint and body work. 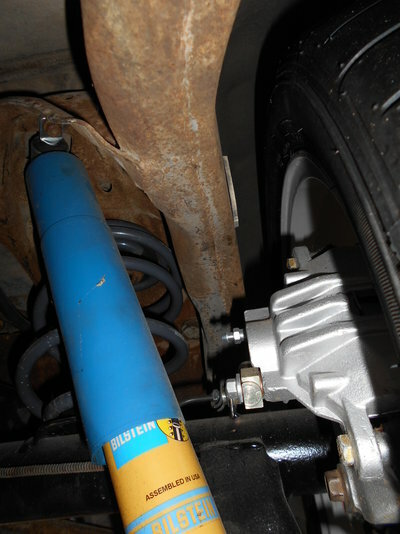 And when I put the Hotchkis upper control arms and Blazer knuckles in there, I think the camber will sort itself out.